Ever wish you could vape on a miniature gumball machine? Well, thanks to the new Freemax Fireluke sub-ohm tank, now you can. But there is more to this device than a bubble glass tube, so I would definitely not refer to it as a simple novelty piece. 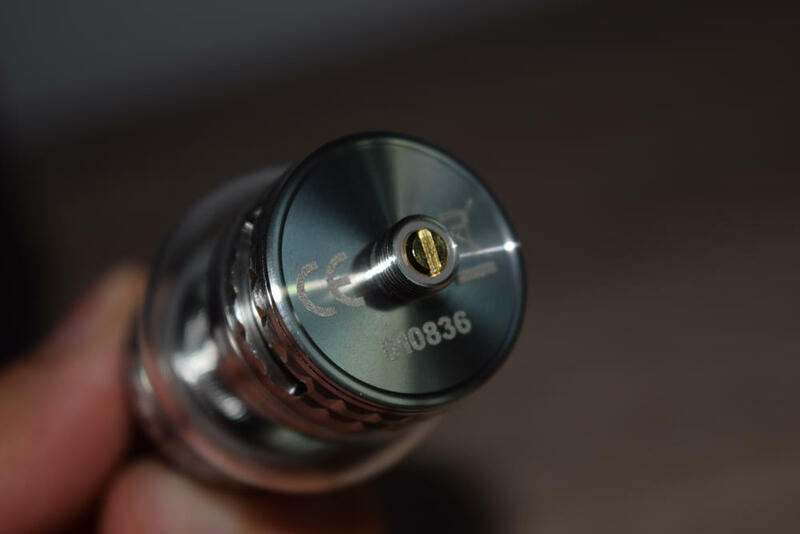 Performance-wise, the Fireluke has been compared to the popular SMOK TFV8 Cloud Beast, so that should tell you a lot about its vapor production capabilities. The massive coil-heads are as impressive as they look, and then there’s the bundled RBA section that lets you build your own coil. This tank may look funny, but it’s no joke! 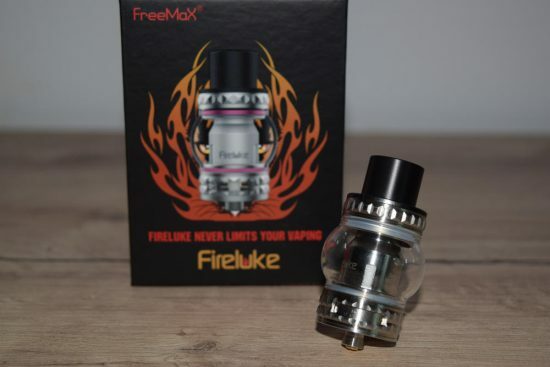 The Freemax Fireluke sub-ohm tank comes in a massive cardboard box with a life-size picture of the tank and a flaming background, on the front, and a short description of the device, a list of kit contents and company information, on the back. After seeing the same type of packaging on so many devices these days, the different-looking box for the Fireluke was a breath of fresh air. Inside the box, we have the tank sitting in a Styrofoam holder, and underneath that we have the accessories. 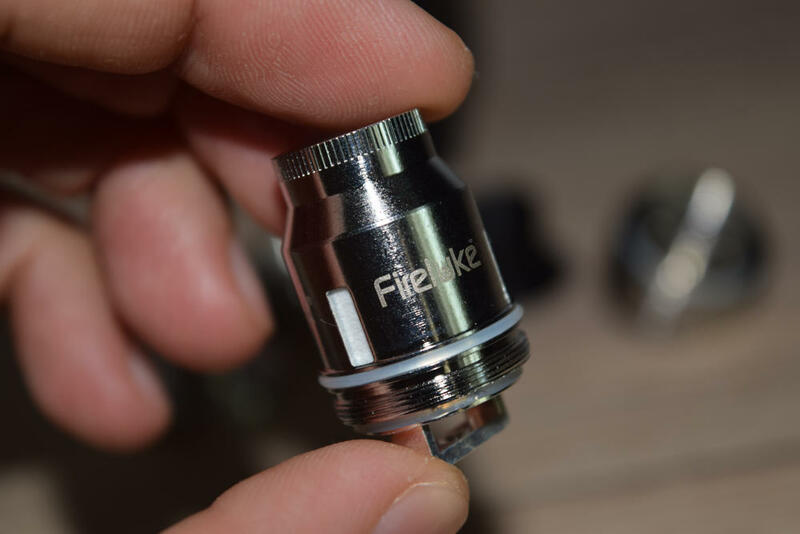 The Fireluke tank comes with a pre-installed 0.15Ω sextuple coil-head, but can also be used with an included RBA base that comes packaged in a nice plastic tube. In the box, you also have a bag of spare parts (o-rings and grub screws for the RBA base), as well as a couple of large stapled coils for the RBA base, a small screwdriver, some Japanese organic cotton, and a smaller glass tube, in case the large bubble pre-installed on the tank doesn’t appeal to you. This smaller tube makes the Fireluke less conspicuous, but a reduced juice capacity of 4 ml. Finally, Freemax have also thrown in a user manual, in case you have no experience with sub-ohm tanks and need to learn the basics. Otherwise, the tank has a simple and intuitive design, so you shouldn’t have a need for the manual. 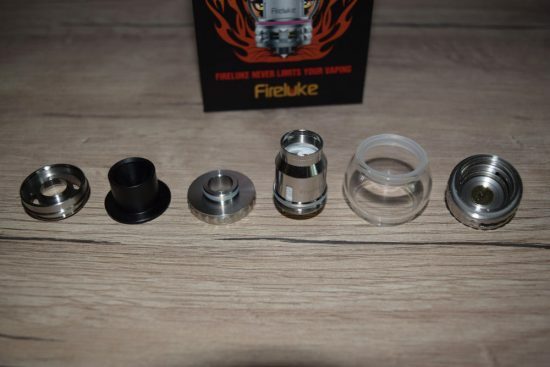 Freemax has put together a really great package for the Fireluke. 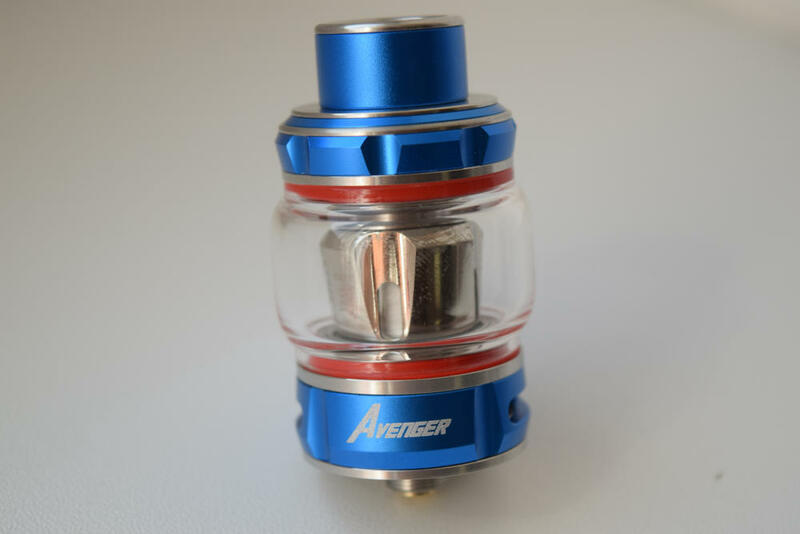 The tank itself and the included coil-head are more than worth the $29.99 price tag, but you also get a bonus RBA base, which allows you to use your own builds and save money on coil-heads. That’s probably why most manufacturers don’t include RBA sections in their tank kits, but Freemax do, and they deserve praise for it. 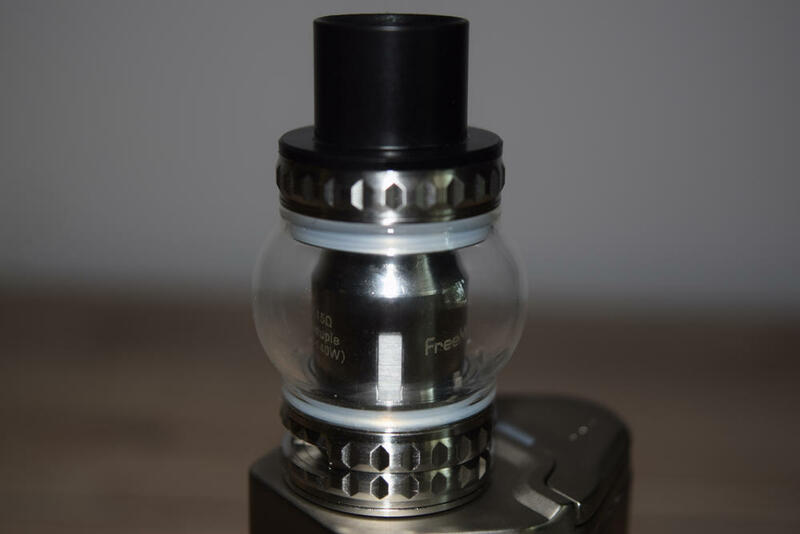 One thing you ca definitely say about the Freemax Fireluke is that it looks different than most of the other tanks on the market today. That alone is a big pro in my opinion, but I’m also digging the gumball machine look. That said, I know for a fact that a lot of vapers think it’s downright ugly, and that’s ok, beauty is in the eye of the beholder. Just so you know, though, that rounded glass tube serves a practical purpose. As any knowledgeable vaper will tell you, the close the atomization chamber is to your mouth, the better flavor you’ll get. The more vapor has to travel through the shaft before it reaches your mouth, the more muted the flavor. So what Freemax have done was make both the shaft and the glass section shorter and bulkier, to improve the flavor. If they hadn’t gone wide with the glass section, they would have ended up with lower e-liquid capacity. That compromise also has a downside, however. You’ve probably figured it out already, just by looking at the tank, but I’m going to mention it anyway, just to be sure. Glass tanks are fragile by nature, so if you drop your mod on a hard surface, there’s a big chance you’ll crack the glass. With the Fireluke, you’ll almost definitely break it. This tank is advertised as 25 mm in diameter, but that’s only at the base. Around the glass section, it’s actually 32 mm in diameter, so it will overhang on virtually any mod. Even if you so much as accidentally knock down your device on a table, the tank will be the first thing to make contact. 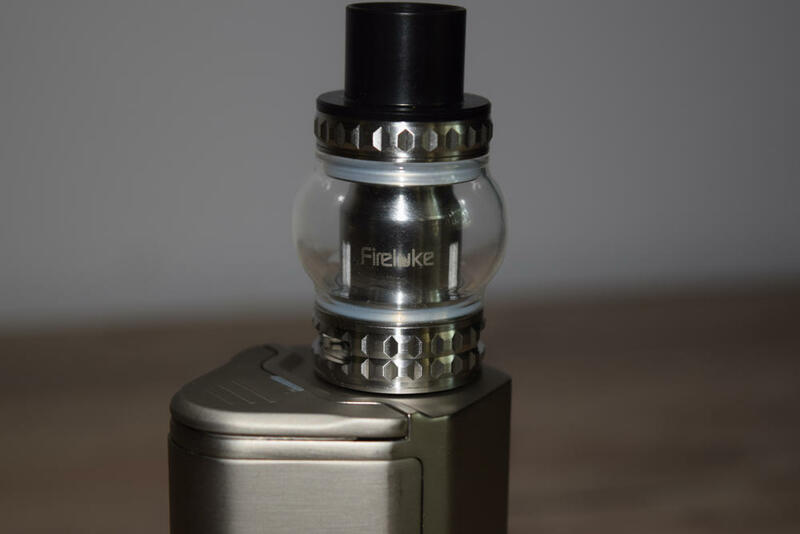 To be honest, the 5 ml glass tube that comes pre-installed on the Firelook feels thick and solid, but it’s still just glass. You just have to be extra careful with it is all I’m saying. The bubble glass section isn’t the only noteworthy design element of the Freemax Fireluke. It also comes in two variants – stainless steel and resin coating, with the latter being my personal favorite. I’m currently using the stainless steel version – which comes in silver and black – but that’s only because I’m saving the resin one for my collection. It’s just looks too damn special to risk damaging. The resin variant comes in a variety of colors, or primary colors, to be more precise, as every one of them is actually a mix of different colors. The Freemax Fireluke measures 54 mm in length, 25 mm in diameter at the base, and 32 mm at its widest point, around the large glass tube. The drip tip on the stainless steel version is nothing to write home about. It’s basically a black wide bore sleeve-like tip sitting on a protruding metal shaft. 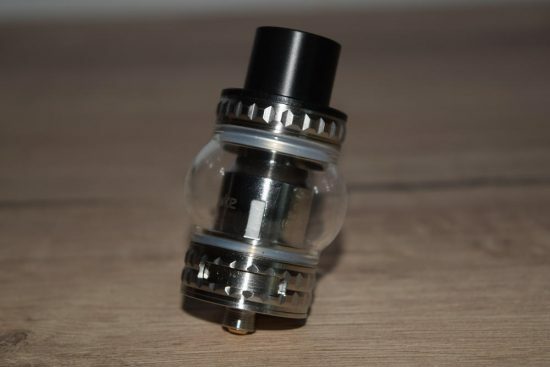 The good news is that you can fit a standard 510 drip tip in that shaft, but the bad news is that it’s not going to look very well. 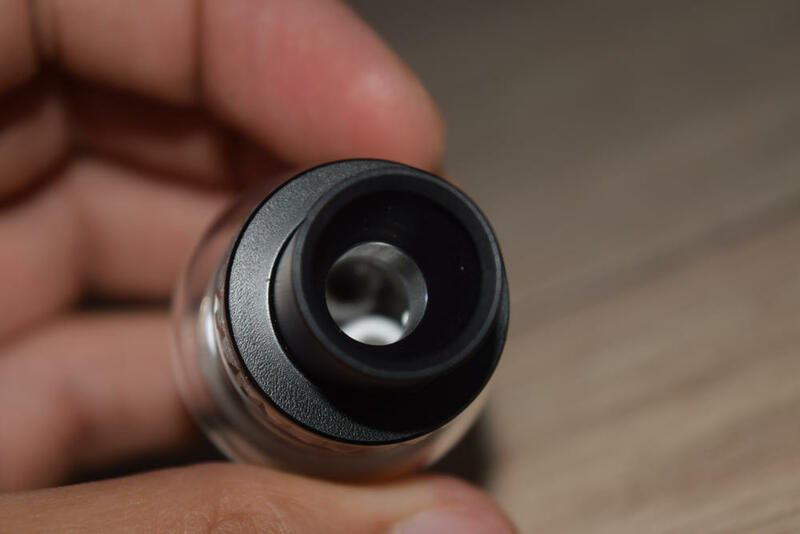 The shaft has a couple of white silicone o-ring on the outside to keep the sleeve drip tip in place, and because the kit doesn’t come with a beauty ring, those o-rings remain visible with a 510 drip tip. There’s also no option for those 810 Goon-style drip tip, which is a subjective con. Same thing with the resin model, but at least those sleeves look good by default. The Fireluke has a convenient top filling system. Just unscrew the metal top cap to reveal two massive fill ports that actually allow you to pir the juice in straight from the bottle, without making a mess. 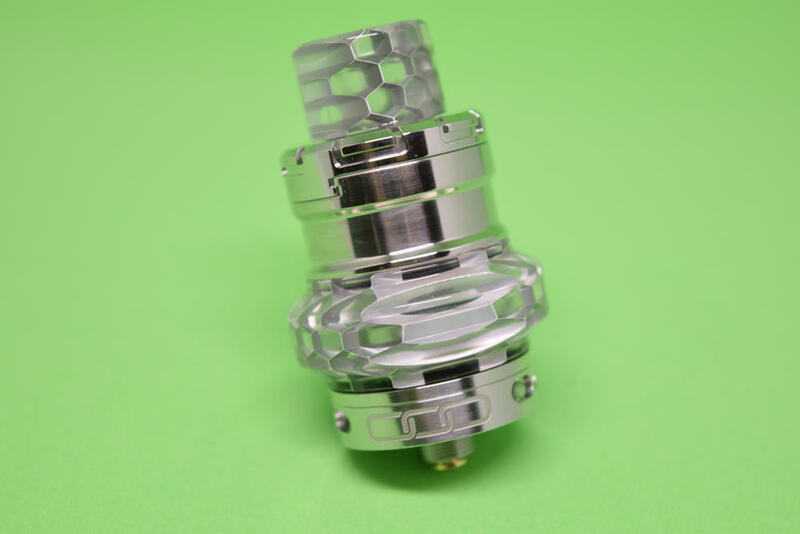 Then we have the masive coil-head or RBA section – whichever you prefer – and at the base, we have two large airflow slots with which come with a metal stopper, making it easier to unscrew the base, should you need to. These are some of the largest slots I’ve ever seen on a tank, so if you’re worried about airflow, don’t be. Finally, on the base, we have a gold-plated adjustable 510 pin. As I said in the beginning, I’m a fan of the gumball machine design of the Freemax Fireluke, and the build quality is right up there with the best of them. Apart from the lack of drip tip options, I really don’t have anything bad to say about it. I recommend washing any tank before using it for the first time, but that goes double for the Freemax Fireluke. I saw a bit of leftover machining oil in the base of the tank and in the cover of the RBA section, so make sure you rinse it under warm water, before wiping the parts with a paper napkin. 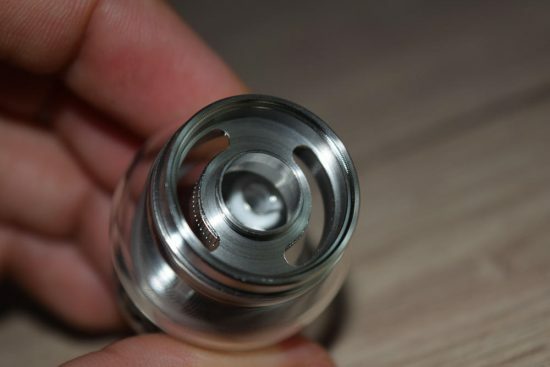 If you plan on using this tank only with coil-heads, setting up is very simple. All you need to do is make sure that you drop some juice onto the cotton wicking before you fill up the tank, to make sue it’s saturated. Also, leave it for a good 15 minutes after filling it, to allow the cotton to absorb all the juice it needs. The RBA section requires a bit more work, but if you’ve ever used a rebuildable atomizer before, it should be no trouble to work with. Luckily, Freemax opted for a classic Velocity style deck, so mounting your coils is about as easy as it gets. Make sure you save that flat head screwdriver included in the kit, because the grub screws on the side of the posts are really tiny, and more screwdrivers won’t fit. Once your coils are mounted and wicked, add a few drops of juice, put the tank back together and fill it up. I recommend you don’t stick too much cotton into the juice well of the RBA deck, because you need to leave some room for the e-liquid to come in from the tank. When it comes to wicking, I believe less is more, so don’t overdo it with the cotton. When I first heard the comparisons to the SMOK TFV8, I honestly thought people were exaggerating, but after having used the Freemax Fireluke for over two weeks, I can confirm that this tank really is all that and more. The gumball machine design is meant to enhance flavor, but that wouldn’t count for much if the coils and RBA section sucked. That’s not the case here. I only got to test the sextuple coil-head pre-installed in the tank, but it has been performing like a champ so far, and it’s still got some life left in it. I’ve been using it with some sweet sugar cookie juice I made myself, but after two weeks, the flavor is still nice and clean, with no burnt taste whatsoever. The beefy sextuple coil-head has a recommended wattage range of 60W – 140W, so you just have to find your sweet spot. For me, that’s 85W, but it does feel like it could handle a lot more. I don’t feel the need to go over 100W, though as the vapor production is more than enough at 85W. The vapor is nice and warm and the flavor is amazing for this style of tank, definitely much better than that of the TFV8. 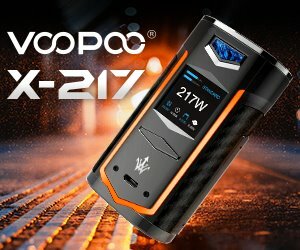 Unfortunately, if you’re a fan of temperature control vaping, Freemax doesn’t have any options available right now. The Fireluke currently has four coil-head options, all of which are made with kanthal wire. 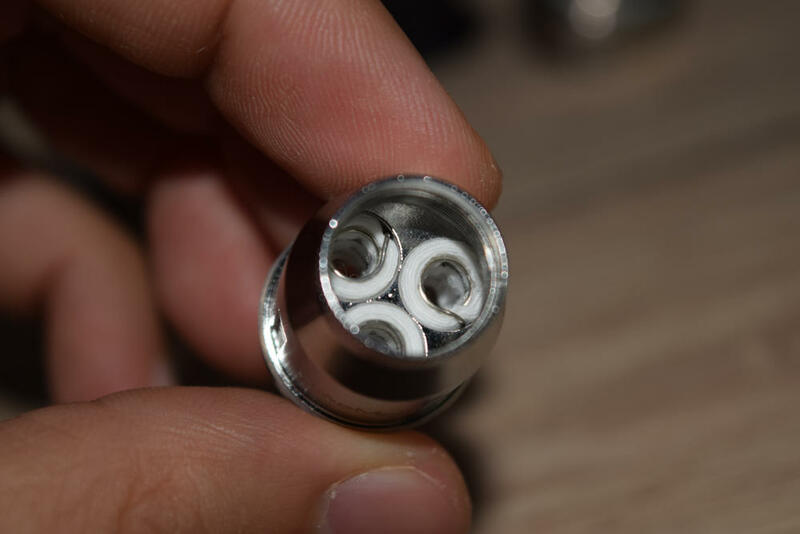 That only leaves the RBA section, which can work just as well, if you wick it properly, but hopefully the Chinese company will also have some stainless steel coil-heads available soon. I’m a variable wattage vaper myself, so this isn’t a big deal, but temp. control fans may consider this a big con. As much as I’ve been enjoying the sextuple coil-head, the RBA section is definitely the star of this kit. It just opens up so many options, and if you wick it properly, the performance is outstanding. And don’t even get me started on how much money you can save by only purchasing cheap wire and quality cotton. 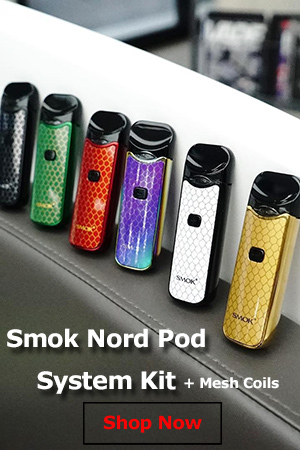 If you’ve ever used a SMOK TFV8 tank, or any of the big TFV tanks, you know how much juice they need in order to produce those giant plumes of vapor. Well, at over 100W, the Fireluke is a pretty thirsty tank as well, but luckily the coil-heads work well at lower wattage levels, so you get decent clouds without having to use gallons of juice. That’s a big pro. I’ve had no leaking issues with the Freemax Fireluke. In fact, those bottom airflow holes are as dry as the desert, there’s not even a condensation droplet visible in there, so it’s safe to say that Freemax have done a great job insulating this tank. The only con I can think of is the strange whistling sound the tank makes when vaping with the airflow slots wide open, which isn’t all that surprising considering how large they are. But close them up halfway and the sound goes away, and you still have plenty of airflow. A lot of people had written Freemax out after they stopped producing anything for a very long time, but the Fireluke tank is proof that they still have what it takes to take on big companies in the vaping industry. This goofy-looking tanks is more than just a simple novelty. It’s definitely one of the best sub-ohm tanks I’ve used in a while, and it comes with an RBA section, which is a huge advantage over most of the competitors in its category. For $29.99, this miniature gumball machine is a steal, and I wholeheartedly recommend you give it a try, even if the form factor put you off. There’s a purpose to it, and it more than makes up in performance. 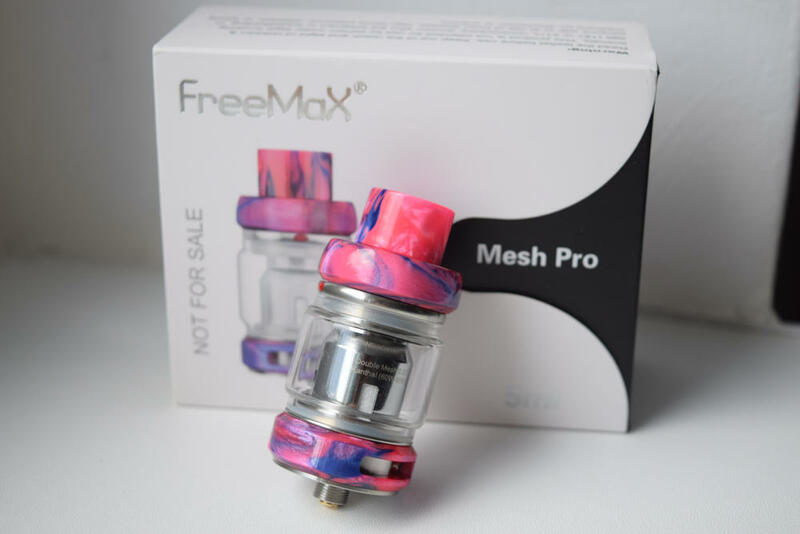 Looking for a great deal on the Freemax Fireluke Tank? Check out this great offer. ive got the purple freemax fireluke on my purple t-priv and i absolutly love it. I was a fan of the smok big baby beast,but i have to honestly say i chose the fireluke over the big baby. The 63 watt is where i seem to keep it,but it can handle way more than that.This tank is awesome and design is a major plus for me. i love its unique look and it looks amazing on my t-priv. ive not had any leaking problems as of yet and the coil life is wonderful. i was going through 3 or more coils a week with my big baby beast so going on a week with the same coil and it still doing great is a major, major pro for me.